One of the must tried and trusted game reserves in South Africa. With a wealth of ecosystems throughout, Phinda Game Reserve is certainly one of the most diverse areas to see wildlife. Comprising 17,500 hectares the land is made up of wetland, grassland, woodland, marshes, pans and mounts with forest around it. Due to this range, the land is home to a huge variety of wildlife and despite having fantastic sightings for the Big 5 it is perhaps more impressive that it gets regular sightings of black rhinos and cheetahs. When it comes to the safari lodges one of the most famous has to be Phinda Game Reserve, made up of four lodges this amazing reserve offers something for everyone.  So please don't hesitate to give us a call on 01993 899 430, or email inspire@oxfordprivatetravel.com if you would like to find out more and we will be delighted to craft your own tailor-made trip. Not only is Phinda home to the Big 5 but it is also known for regular black rhino sightings and a wealth of cheetahs. For bird enthusiasts there is at least 380 species to admire. Phinda Private Game Reserve is perfect way to see the iconic wildlife of Africa and sample some of the best cuisine whilst doing so. This is perfect for families, couples and groups, just bear in mind with younger children they may only be accepted in certain properties as a safety precaution. June - August (Winter): Similar to Autumn wildlife is easier to spot due to the dry season and the wilting vegetation. Temperatures do drop to lows of 12°C so pack warm.